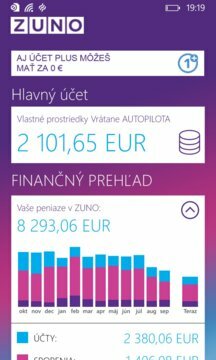 With ZUNO you can manage your ACCOUNT with application for your tablet, laptop or PC with Windows 8.1. Find the nearest ATM, check your balance, send payments – arrange everything you need. To open an account you just need a few minutes and other operations take only seconds. All with maximum security and protection against misuse. Save your time and don't make your life complicated. Less bank, more life.